We all know phone carriers can be a huge annoyance, in fact, an absolute pain in our bums. For two weeks, I did not have any cell service on my phone. Apparently when I switched from one carrier to another, both companies decided to put the other at fault versus helping me get my service back. 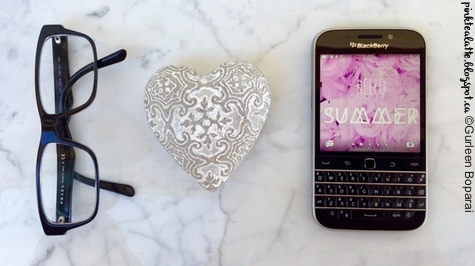 After much hassle and grief, I finally had cell service and was given a brand new Blackberry Classic - YAY! It was not the end of the world though because it was nice to have a break from a cell phone. You become far more aware of your surroundings because you not thumbing away at your cellphone. As well, your eyes will thank you for giving them a break from the small screen. I definitely people watched much more when taking transit. I read magazines when I was in the waiting room at the drs! I had to memorize phone numbers - Derp, only knew my house number! As well as ask strangers to borrow their phone to make a call! Surprisingly, I realized how few people I really NEEDED to talk to. I think I only called my parents and two friends. I did not miss checking all my social media updates. I had to make plans in advance with friends and determine a specific meeting spot as well as time! I did not have an alarm in the morning?!?! AH! Data - definitely did not need to worry about going over the limit! At the end of the two weeks, I realized how I did NOT need my blackberry for social media, or to pass time, or to randomly text people about nothing. I NEEDED my blackberry for answering work and school emails as well as for feeling safe because if an emergency occurred, I would be able to call my parents and 911. What do you think dolls, are we far too obsessed and attached to our cellphones to notice the world around us? --> But I am Still Elated, in fact Ecstatic to have my new Blackberry Classic!!!!! Summer is OFFICIALLY here! 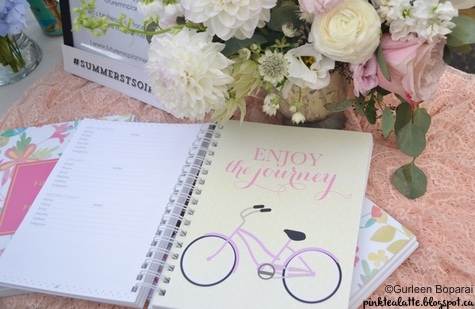 I am excited for the never ending summer days and the amazing summer festivities! So many events occurring throughout summer in Vancouver, too many to pick! My favourite part of summer is dressing up because I do not need to worry about there being rain or it being too cold to wear a cute dress. Honestly, when it is cold out, it is hard to dress cute because you know you will be bundled up in a big coat, scarf and boots. I thought I would put together a quick and easy effortless summer outfit that will guarantee you to stand out in a crowd. Go the simple route dolls because when you over do it, you will stand out in a not so positive way. I have chosen a classic black romper overalls from Aritzia - this fabric is so soft and luxurious feeling, you just have to feel it in person! 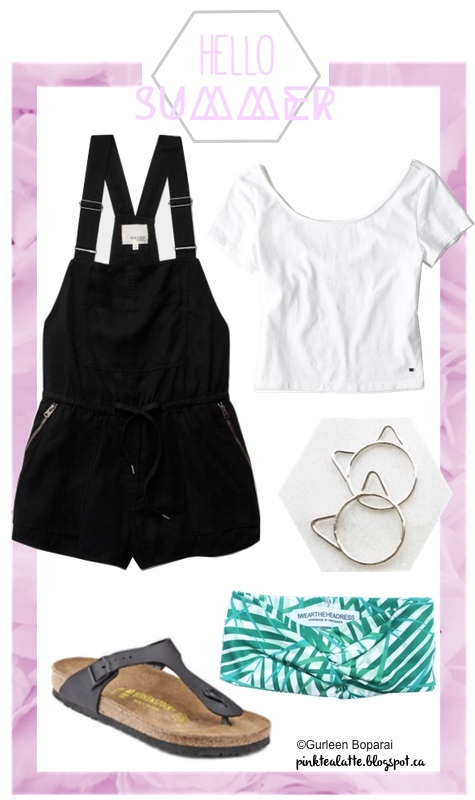 Underneath, a simple short sleeved white crop top. Accessorizing with emerald green palm leaf patterned turban hand made locally in Vancouver by I Wear the Headress. 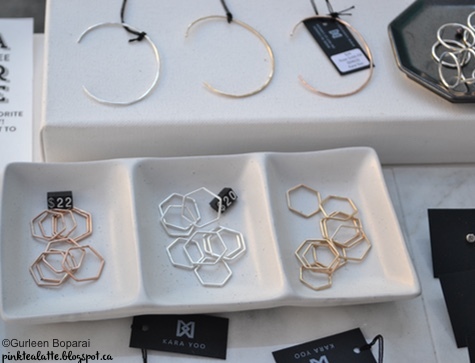 A little bling for your fingers - too cute for words kitten rings from Foe and Doe - also Vancouver based! Lastly, a pair of comfortable Birkenstocks the perfect pair of sandals for any summer! 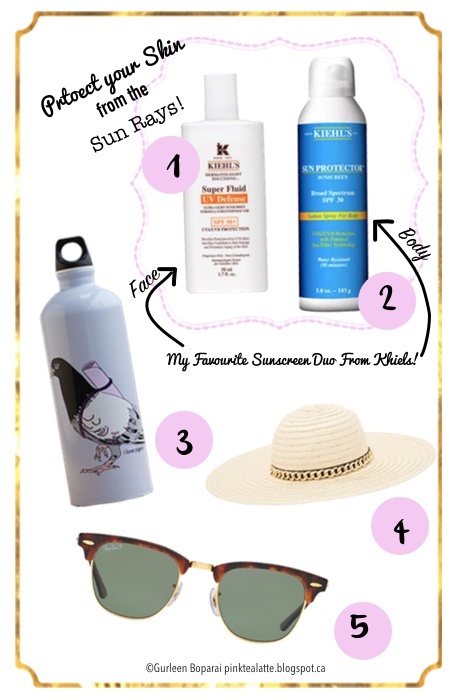 Have fun in the sun and do not forget to protect your skin! I am happy to say I have completed my physiology midterm for the physiology course I am taking this summer at UBC. I cannot even begin to tell how the vast amount of material we had to know for this exam, it was an absolute marathon of studying! Now that I am relaxed and can take a moment to breathe (before the final creeps up on me), I wanted to tell you dolls all about my favourite felt tipped pens! I go through pens pretty quick because as I student, I am constantly taking notes and scribbling in my agenda all of my "To Dos!" I am also a very picky person as to what type of pen I use. Perhaps I am just a little bit OCD and if the pen does not feel just right in my hand and write in a certain manner, I start getting a wee bit of anxiety. Therefore, you can conclude Le Pens have received my stamp of approval! Le Pens are made by a Japanese brand, Marvy Uchida; however, I was able to purchase mine from a paper shop in Vancouver called Papyrus. I am in love with my Le Pens and to express how fabulous I think the Le Pens are, I actually purchased TWO of each colour that Papyrus carries. Haha I had to have a backup of all of the colours in case Le Pens are no longer produced... Which would be an absolute Travesty! Just a side note, Papyrus sells the colours individually; however, you can find packs of the pens online. The pigmentation of these pens is brilliant and they write very smoothly on paper. Another fabulous thing about the Le Pens are that they do NOT bleed through the paper! We all have seen the Staedtler Triplus fine liner, which always bleed through the paper. As well, I find the tip of Triplus to wear down quite quick. Lastly, are the Le Pens not the most chic felt tipped fine line pen you have seen? I am in love with the silver metal clasp on the cap! I have eleven colours: Blue, Red, Green, Orange, Pink, Light Blue, Teal, Periwinkle, Amethyst, Lavender and Black! Head on out and grab yourself a set of these gorgeous pens to make your notes and letters even more gorgeous! How gorgeous is this Tiffany blue vintage beetle parked outside of Liberty! Today was such a brilliant day because I got to visit the glorious Liberty Bakery + it was fabulously amazing weather! The perfect day to wonder Main st. with my friends, exploring the stores and Liberty Bakery hehe! 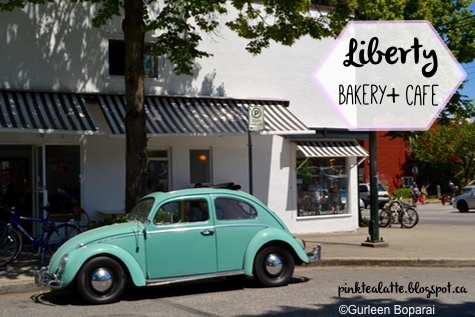 Liberty Bakery is located on the corner of Main st. and 21st Ave. 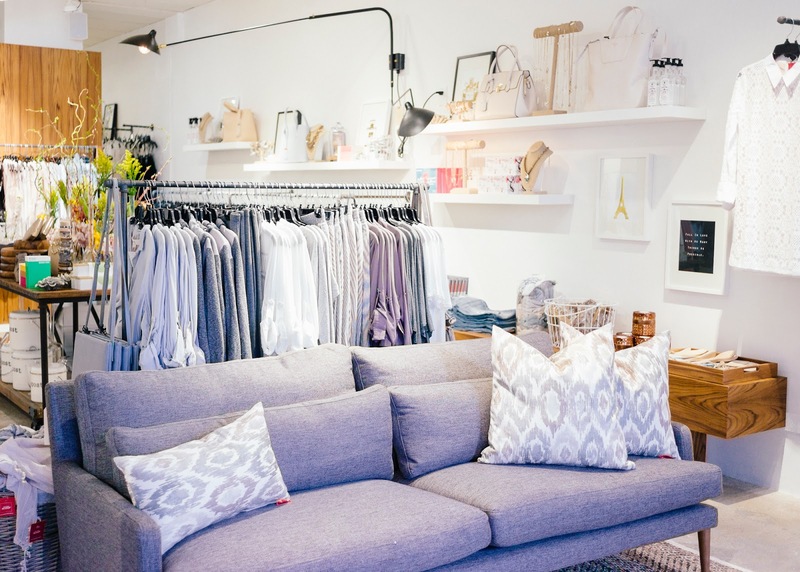 It is an adorable bakery that has been recently renovated. I love their white exterior paint job with Black + White Striped Window shades! Their hours are generally 10AM - 6PM, but I highly suggest you do not wait until the closing hour because their goodies may sell out! All of Liberty's pastries and delicious sandwiches are made with lots of Love in store. You can actually watch the chef's hard at work as the kitchen is not hidden behind a wall! I will be honest dolls, I had gone into Liberty with the intention of trying Liberty's famous Hummingbird cake; however, sadly, they discontinued by the slice Hummingbird cake only a week ago. I really hope I get to try the Hummingbird cake as I love Carrot Cake and the little hummingbird gingerbread cookies that adorn the top perimeter are really cute! Plus its a tres Chic Cake! 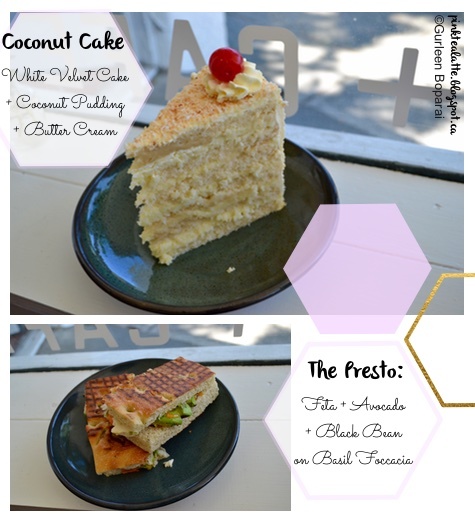 Even though I did not get to try Hummingbird Cake (which I had been drooling over), I got to try their new daily by the slice cake: The Coconut Cake. Can I tell you that this Coconut Cake is the BEST coconut cake I have ever had in my life. And I have had a lot of cake and pastries! It is amazingly moist, creamy and dreamy cake that you will try. Plus who knew white velvet cake existed?!?! I think Liberty is genius for layering coconut pudding between the layers of white velvet cake because it made the cake extremely moist without making it too sweet! I personally love sweets, but I do not like extremely sweet treats. Please go check this cake out dolls because I can promise you this Coconut Cake is a treat you will savour! I also decided to have a sandwich because I was super hungry as it was lunch time! 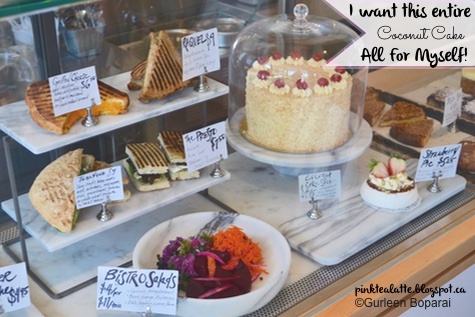 (I did eat the sandwich before the cake, but the cake was so darn amazing I had to talk about it first!) I chose the Presto Sandwich that Liberty grilled to perfection! It had an excellent crunch when you take a bite and then you taste the amazing avocado with feta and black beans! As well, they give you your sandwich toasty hot so it forces you to take your time versus inhaling your delicious sandwich! Let me know if you have been to Liberty Bakery before and if not, when you do go, what was your favourite treat? 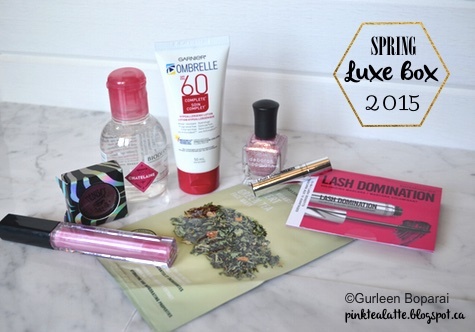 I have just received my Spring 2015 Luxe Box in the mail and am very excited to share it with all of you! I was completely surprised by my Luxe Boxe's arrival as these past few weeks have been the busiest weeks of my life. I have had no time to think, let alone wonder when my Luxe Box might be coming! So it was a welcomed surprise amongst the chaos of a busy life! There were a total of 7 items in my Luxe Box, 4 full sized products and three trial sized (personally, I thought two of them were full sized!). I am going to list the products starting with the items I am most excited about to the least. I am very excited and happy to receive this make-up remover as it has been on the top of my "to Try" list. It is a make-up remover that has been spoken about fondly by many and I cannot wait to try it for myself! You can never go wrong with a deporah lipman nail varnish and the colour is a super cute sparkly pale pink shade. Even though this is a very tiny trial sized mascara, I am still excited to try it out! I prefer trial sized mascara's when I try new ones since macscara does go bad in about 3 months. This way, I will not feel bad for not using it all up if I do not like it since it is so tiny! This is a one time use mask with hydrating properties. I am excited to use it as I am a big green tea lover... well green tea latte lover! Yay for sunscreen! You can never go wrong with sunscreen during the spring and summer. It is important you protect your skin! I will definitely be using it on my body when I have used up my Khiel's body sunscreen. Just a quick Note dolls - Sunscreen's generally have an expiration of a year to a year and a half! Be sure to always check yours at the beginning of the season! It is a shear pink gloss, not too fond of the packaging. Overall, I would wear it, but it is nothing new. Purely based on first impressions, I am not very excited about this particular item. The packaging is far too tacky for me as well I am not much of a purple shadow girl. However, I am happy that this eyeshadow is cruelty free! 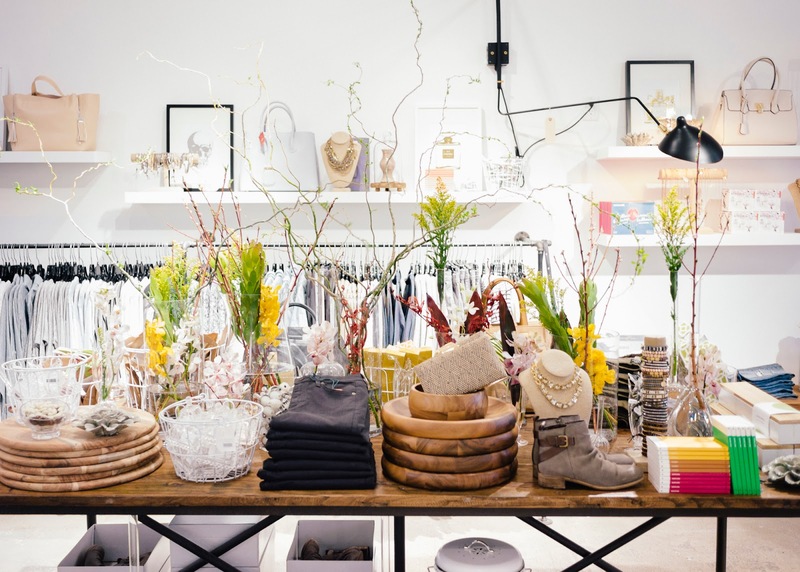 Are you excited about any of these products? One of the weird things I like to read about is what people are wanting to have in their wardrobe or as decor etc. It is just interesting and sometimes I discover something I really want! So I decided I would share with you my latests lusts and wants. The big thing this season is WHITES! I am a huge fan of wearing white, especially when it is really hot out. It is a calming and cooling colour that does not attract heat. As well, it is easy to add a pop of colour to with any accessory! ONE: This is a backpack done by Nocturnal Workshop. It looks ordinary at first; however, it is a completely reflective backpack! It is made with quality durable reflective material as well as suede and leather. Definitely a major WANT for a biker or bus user! 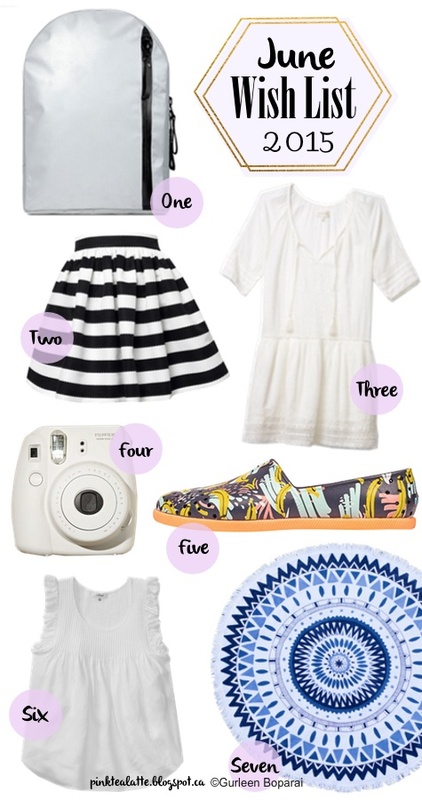 TWO: Black and White stripes are tres chic, and Party Skirts makes the best fitting and flared skirts you can get! 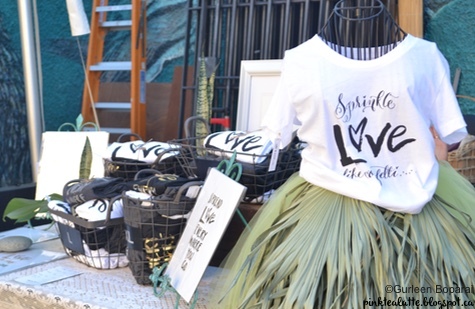 How flirtatious and cute is this skirt! THREE: Shirt dresses and boho-esque tassels are quite in this season. 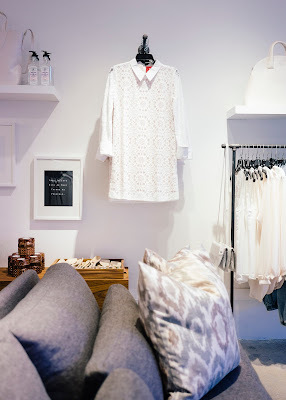 This flowy white cotton dress is on trend for 2015 spring/summer! FOUR: I really really really want a Fuji Filminstax Mini in of course chic White! The polaroids are fabulous keepsakes you can always have forever. FIVE: How rad are these banana printed Native shoes for The Juice Truck. I must got my hands on these limited edition Natives as well, they are perfect for the hot days when you do not want to be wearing socks. 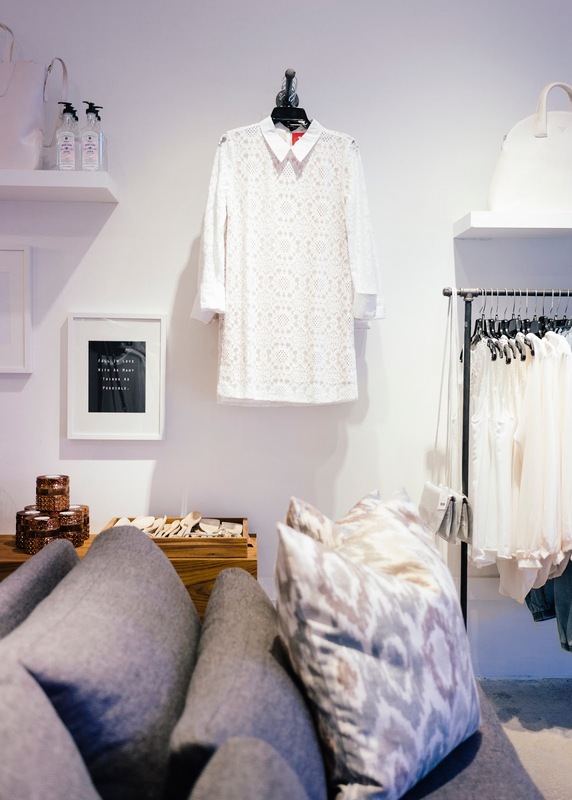 SIX: Hot summer days call for flowy cotton tops, and this white top from Aritzia is perfect! As well, the ruffle detailing on the sleeves is chic and feminine. SEVEN: How cute is this beach towel! It is the original "roundie" beach towel, and I am in love with fringe around the perimeter as well as the beautiful blue and black symmetrical pattern! You will definitely be the only gal at the beach with this Roundie Beach Towel by The Beach People! Happy National Donut Day Dolls!!! Hehe in celebration of national donut day, I went to Cartem's Donuterie! This was actually my first time going to Cartem's and I was shocked by how large the bakery actually is! It is HUGE! And I am in love with their brick walls and clear lacquered wood furniture. The donut I chose is the London Fog. It is a "stuffie" donut filled with whipped cream infused with Earl Grey tea and vanilla bean. The donut was glazed with Early Grey tea and vanilla! The filling was so darn good, it was fluffy, airy and light. The filling was not too sweet which really let me enjoy the flavour and texture. I found the glaze to be too sweet which over powered the delicate filling. 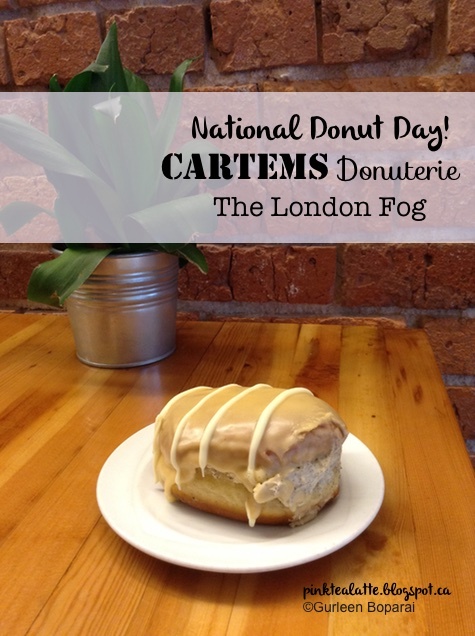 I have no more words to describe the London Fog donut as it was so darn good! The flavours were complex and nothing you will ever find at another donut place. Definitely worth checking out dolls as gourmet donuts do exist. Also for the men in your lives, Cartems has a donut with bacon bits! But now that I can put away the physiology textbook and can finally leave my desk, I can explore more awesome and yummy delights! 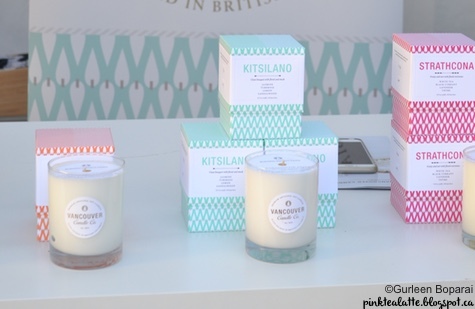 I was walking to Holt Renfrew in Downtown Vancouver when saw Archimallows pop-up shop! I could not help myself but take a million pictures of the beautiful hand-made marshmallows and share them all with you! They had so many cool flavours like tequila lime and black forest aka YUM! 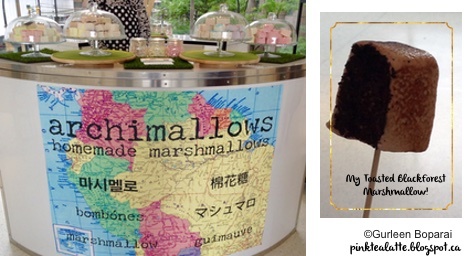 The best part of getting your mallows at the archimallow pop-shop is that they will toast you marshmallow! I repeat, toast your marshmallow with a handheld blow torch! We all know toasted marshmallows at camp are the best thing ever, so when you eat a toasted flavoured marshmallow, it is mind blowing! Crispy on the outside and soft and warm on the inside. The flavours just pop in your mouth. I had the Black Forest Marshmallow and my friend had gotten the Lemon Meringue. Both were delicious! 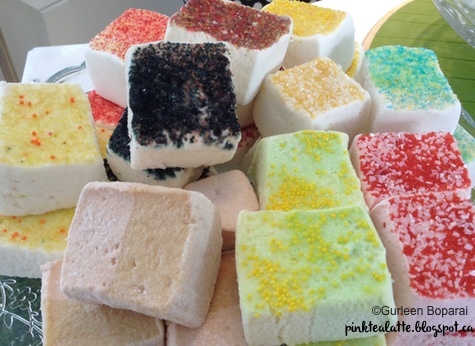 However, my all time favourite marshmallows will always by the ones made by Butter Bakery! I may be a bit biased as I have been going to Butter all my high school years! Haha but Archimallows definitely are worth a try!